Have you ever tired of hotel rooms that despite their promise seem rather cramped and lack good facilities to sit and watch television, make a coffee or enjoy a pre-dinner drink on a comfortable sofa reading your kindle? If so read on. Pebbles Nice is a rental and sales agent for properties in Nice and the surrounding areas. They have a large selection of properties on their books and can provide accommodation to meet most needs and budgets. They can be found on www.pebblesproperties.com. We were mixing attending a conference with a short break with friends and selected the apartment at 1 Rue Alberti for our stay. 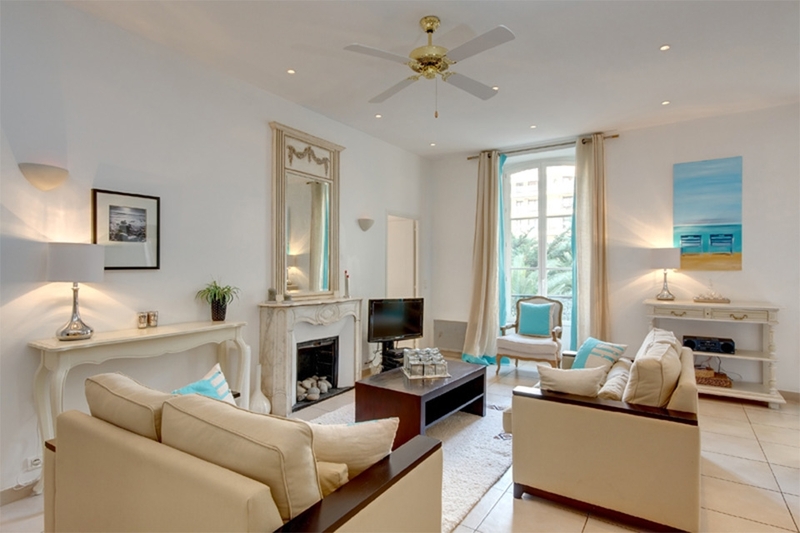 Rue Alberti is next to the Albert Gardens and is in easy reach of the Promenade Des Anglais, the tram service at Place Massena and the Old Town. The apartment was to be found in one of the grand apartment buildings in Nice. We were met by a well informed and charming representative at the apartment following a confirmation phone call when we arrived at Nice. The apartment was very well furnished with two large en-suite bedrooms and a large living kitchen dining area all with Juliet balconies to take in the view of the street and the bustle of the city. As always Nice was really beautiful and enhanced for our June stay by the absence of rain. The weather was beautiful and we enjoyed lunch on the beach at the Ruhl Plage, a must go for great service, good fish and Provence rose whilst strolling back through the newly installed play fountains in the Albert Gardens great fun for hot little children and not so little adults. 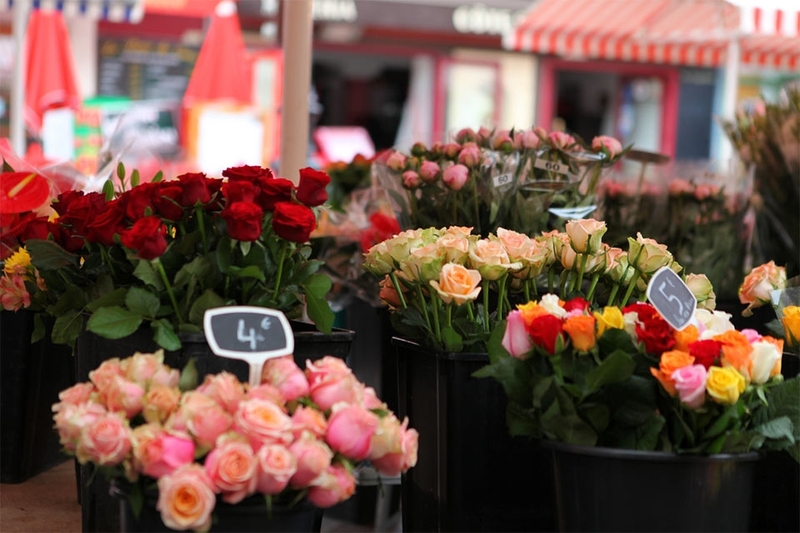 The Old Town continues to hold its charm and a meal in the Flower Market is not to be missed where you can enjoy fresh fish and crustaceans in a busy but relaxed atmosphere. Nice is connected to the Cote D’Azur towns by an excellent railway which will take you to the nearby towns of Menton, Cannes, Monaco and points in between. For a few Euros you can enjoy the trip along the Med admiring the pretty towns clinging to the cliffs or adjacent to the beach and stop at the one that takes your fancy. For a complete change of scene you can take a trip up to the hillside villages and towns that are peppered among the Alpes Maritimes. 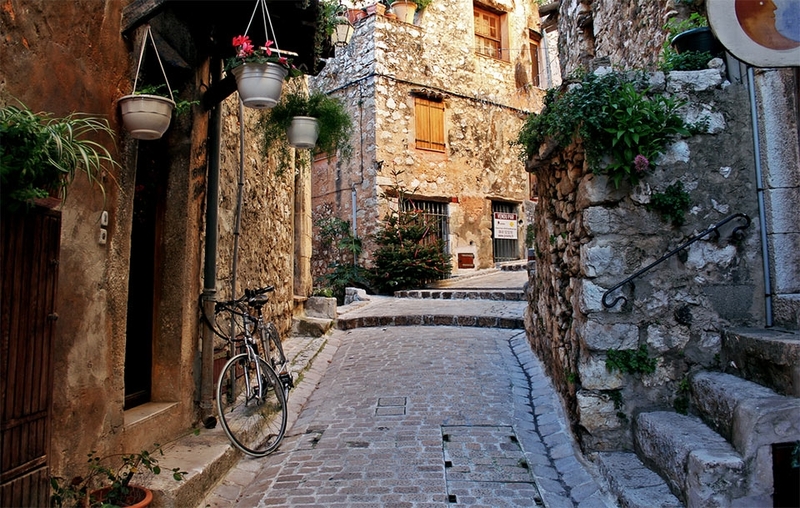 We chose to visit Tourrettes Sur Loup a beautiful medieval fortified town with charming winding streets filled with locals, craft shops and restaurants. We chose to eat at the Medieval, a small restaurant with a fine terrace overlooking the valley to the sea. The restaurant has a fine selection of fresh dishes cooked to a very high standard coupled with excellent service. The locals do not speak much English but with a few smiles and the odd French phrase you will not go hungry. So whether you find your pebbles on the shore or in the hills the guys at Pebbles Properties will be able to help you enjoy your stay.